Karachi will host its first Art Biennale in 2017. As the buzz builds up, people are wondering what exactly a biennale is and what they should expect from such an event. The biennale (and triennale) is a popular format for an extensive art event which has caught the imagination of the global art community in the last few decades and has led to its proliferation in many countries. Most biennales are named after the city that hosts them; others, like the Asia Pacific Triennale of Contemporary Art (Australia) and Young Artists from Europe and the Mediterranean can be specific to a region or group. Also, a country can have more than one: the prestigious Venice Biennale and a younger Florence Biennale are both held in Italy, and the USA has 16 biennales. The biennales can have a specific focus like Bamako Encounters that is for photography in Africa and a few are exclusively dedicated to sculpture. 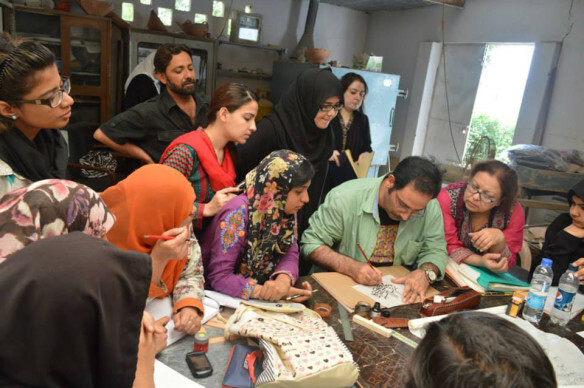 Pakistan currently has two triennials, the ASNA Clay Triennial and the Print Triennale, both Karachi-based. A biennale can be modest in size and be contained within a museum. Occasionally, in countries without large national galleries, improvised spaces have been used for exhibitions. The Karachi Biennale plans to bring into focus historical buildings from the colonial period and also follow the recent trend to locate art projects in spaces that are relevant to the artist’s concept. The first Singapore Biennale used places of worship throughout the city to underline its cultural/ religious diversity. The Karachi Biennale has geared its curatorial strategies to spread out its locations to make art accessible to the people. This will be supported by a strong educational outreach to encourage a dialogue around art in public spaces, which for the first time is being done on such a large scale. The only thing I have found in common in almost two dozen biennales in three continents that I have visited, is the centrality of the curator’s vision. While the concept provides a framework , the quantum of work, that varies from the poetic to didactic and activist art, offers an experience of discovery and wonderment to the visitor. Each edition of the biennale has a different theme and curator (or curatorial group) with a new vision, which keeps the biennale both topical and relevant. In recent years when the ‘Occupy Movements’ around the world were at their peak, many biennale curators responded by including the dissident voices and their concerns. The Karachi Biennale 2017 has chosen to root itself conceptually and physically in its host city. Its theme, ‘Witness,’ focuses on memory and erasure that address issues of the contested history in a fractured city. It seeks to highlight the artist’s response to both personal and collective experiences. Every Biennale has been organised with a wider objective. The purpose of the Dhaka Art Biennale, founded in the 1970s, was to acknowledge the role of its artists in the freedom movement for Bangladesh and use their creative energy to consolidate its position as a young country. Sao Paulo aimed to develop a strong education outreach for youth to unite an economically disenfranchised population, while the objective behind Dak Art was to showcase in the Senegalese capital contemporary art from the region to the world. 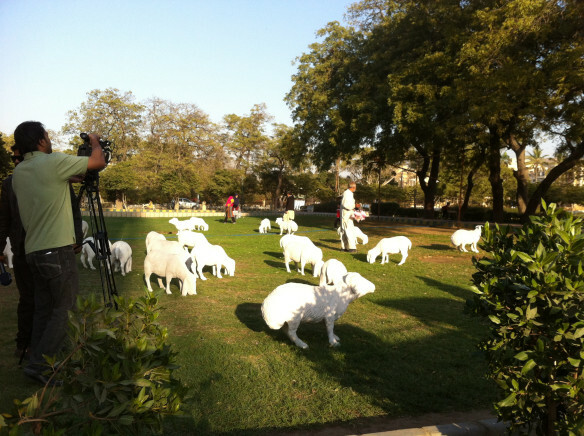 The ambitious art projects of the Karachi Biennale, featuring both Pakistani and international artists, will attract artists, curators and the media from major art centres, thus putting the city on the world art map. And, hopefully, help forge positive perceptions of a city that is frequently in the news for incidents of violence and political uncertainty. In the 1970s, the National Art Exhibition organised by the Pakistan National Council of the Arts annually toured all the major cities in Pakistan, including Karachi. Held at the Arts Council, it engaged people from all walks of life. This is how many of us were introduced to art from Lahore, Quetta and Peshawar. This was also a time when art flourished but the gold period ended with the arrival of a general and the Islamisation of culture, which led to a disconnect between the mass audience and art. A biennale that is designed as a city-wide exhibition can bring back the interest in art and unite communities together through a collective cultural experience. This article was originally published in Newsline’s March 2016 issue.